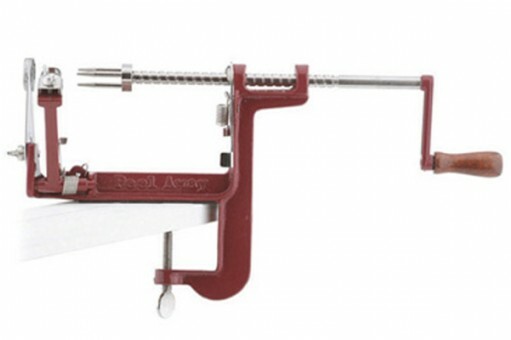 This tool peels, cores and slices all in one easy operation. You can use it to peel apples, pears, potatoes and more. The coring/slicing blade can be removed, allowing you to just peel for potatoes or if you do not want your fruit sliced. Quality cast iron construction with stainless steel blades for years of use. 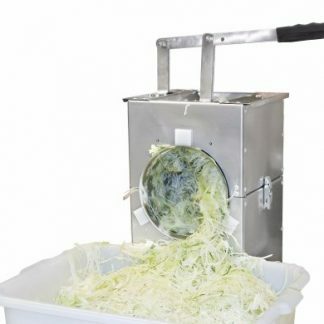 Great for salads, pies, canning, drying, making delicious treats, and much more! Choose from the suction cup or clamp on model. So fun and easy to use that kids of all ages want to help with this chore. As I write this we are elbow deep in pears and apples to can. I used to tediously peel them all by hand. Then one year a friends’s husband shared some of “his” apple sauce. I mentioned his hard work peeling those apples. 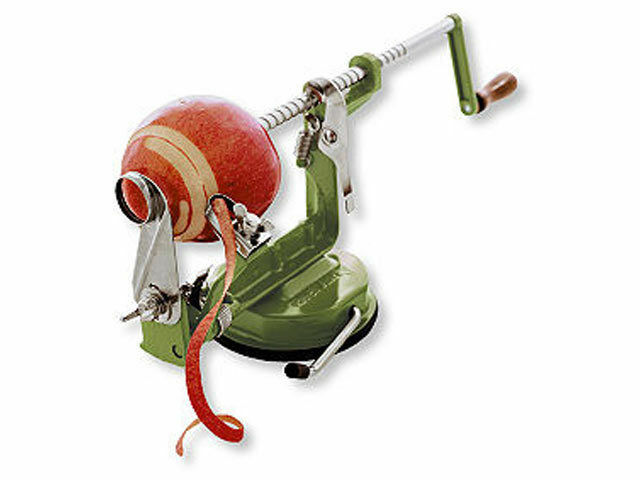 He said it wasn’t so bad with his hand crank apple peeler. I noted that I’d seen them, but the apples on our trees were usually not perfectly shaped, so I didn’t figure one would work. He assured me those peelers were up to the task, and I hunted one down. What a “wonder” it is. I can’t imagine not having it at apple/pear harvesting time now. My little ones, even Ethan at 3 1/2, fight over who gets to peel the apples, and even the “hard” pears. I bought a 2nd one, and apples and pears are in the canner in short order, with 2 peeling at once (we’re blessed with 8 children). More loads can be processed per day to get the harvest in. 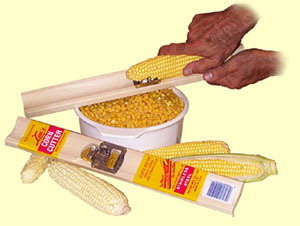 The peeler can be set to peel; or to peel, core and slice all at once. When we can halves; we peel, slice in half, and scoop the core out with a melon ball scoop. When we dry; we core, slice and peel. The slices are perfect for placing on the dehydrator shelves. 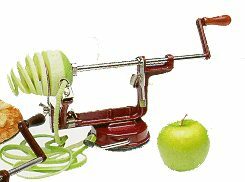 We were so impressed with the apple peeler that we made sure to stock them at Wisemen so they’d be available to others. They are a Back to Basics product. You may have heard of the Back to Basics grain mills.